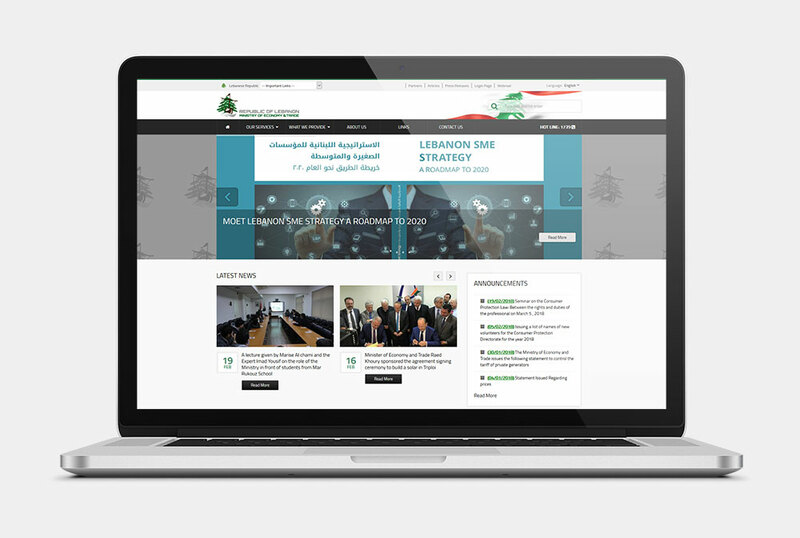 IDS designed and developed the new website for the Lebanese Ministry of Economy and Trade. The new website gives the visitors a user-friendly experience with a very clear interface and is developed using the newest technology of the UMBRACO open source CMS. By surfing the website, online visitors are able to interact directly with the ministry by submitting Complaints, Electricity Generator Forms, University Students Volunteer Forms, Feedback Forms, as well as benefitting from other services.